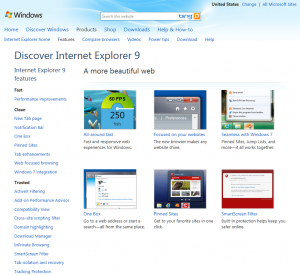 Microsoft released its long awaiting Internet Explorer 9 today. Definitely it is big improvement over its previous versions. It is available to download for Vista, Windows 7 and Windows 2008/2008-R2 series operating systems. Microsoft is dropped support for Windows XP even though it has significant market share. But when regarding html5 features it has to improve a lot of features. 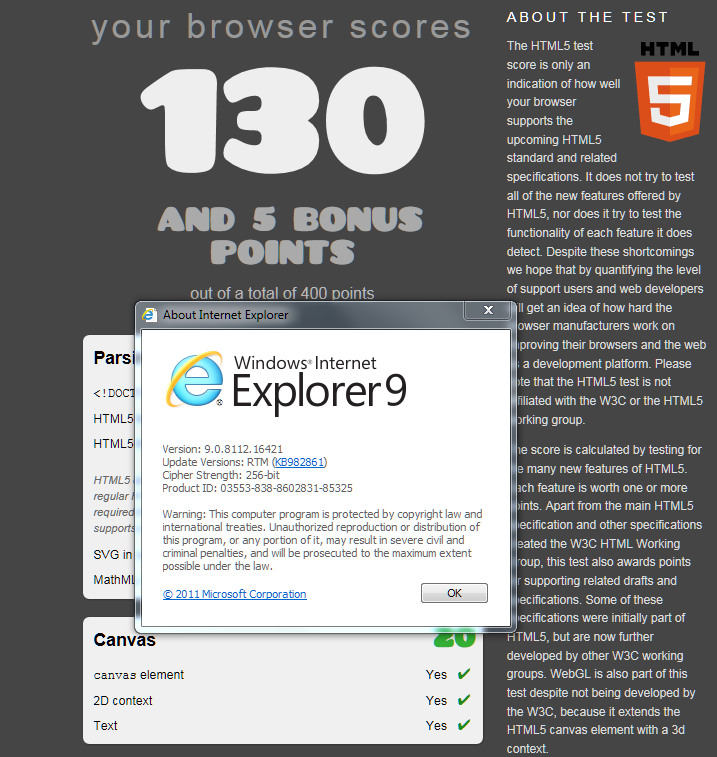 I got only 130 out of 400 points when I pointed the browser to html5test.com while current stable chrome(v. 10) is giving 288 out of 400.